The Fluvanna County militia was a component of the Virginia militia during the American Revolutionary War. It was based in Fluvanna County, Virginia for the majority of the war and only saw action near the end of the conflict, in 1781. The exact size of the Fluvanna militia at different times during the war is unknown. Local writings list the station of Revolutionary War units at six companies. As of January 13, 1781 Thomas Jefferson knew there to be 260 men enlisted in the militia. It is known that Thomas Jefferson asked for one quarter of the county’s militia, 65 men, to fight at Green Spring, West Virginia in 1781, near the end of the war. What is known is that Fluvanna was the site of Point of Fork Arsenal, a major center of arms manufacturing for the Virginia government during the Revolution. Like other county militias, the Fluvanna militia was formed as a local branch of the Virginia militia. It was led by Captain Richard Napier. 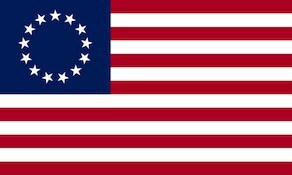 In order to join the militia, men were required to take a “Test Oath” renouncing King George III and pledging themselves to defend the Commonwealth.